Hernia is an abnormal condition that occurs when an organ or tissue exits through the wall of the cavity in which it originally stays. This majorly happens for the abdomen organs. If the hernia grows large and causes severe pain it can be treated only with a surgery. 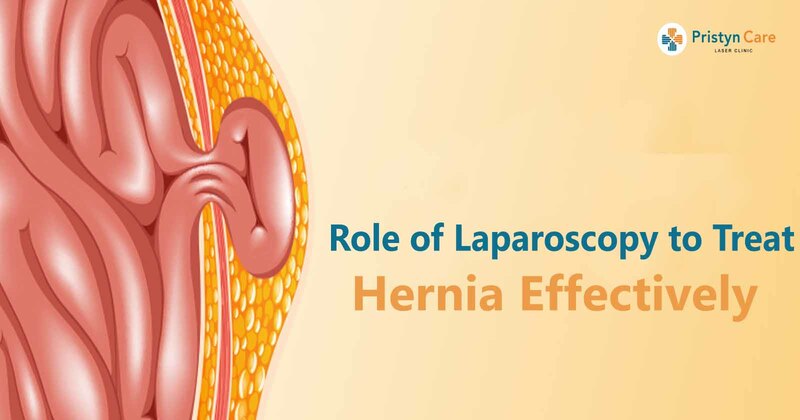 Laparoscopy surgery is an effective surgical procedure to repair a hernia. It has proved to show great results in the last few years. This surgery is more commonly performed to treat; bilateral inguinal hernias, recurrent hernia, and ventral hernias. This surgery facilitates a speedy recovery and therefore has become a preferable option to athletics in case of hernia. Laparoscopic surgery involves a small incision of about 1-2 cm at the abdomen area. A tiny camera and small surgical equipment are used to repair a hernia through the incision. Damage to the surrounding tissue is reduced with this technique. During the surgery, the peritoneum is separated using a balloon between the abdomen and the overlying muscle making space for the camera. The hernia is then detected and pulled back to its original position. Incisional/ventral laparoscopic surgery: Laparoscopic surgical treatments are effective for many different hernia types; be it an umbilical hernia, ventral hernia, recurrent umbilical hernia, epigastric hernia etc. Like inguinal hernia treatment, the surgical camera is placed into the abdomen through a small incision. The muscle tissue between the hernia and the intestine is removed. The hole is thus visible and then hernia mesh is placed into the abdomen through one of the laparoscopic ports. Hernia is placed back to its position and the mesh is secured with 4 sutures. Tension-free treatment: A hernia usually happens through weakened muscles. In a few surgeries, the opening is stitched. However, the muscled around the hernia are weak leading to recurrence of hernia. To avoid this condition a mesh is used to fix the opening. This done to strengthen the muscle tissue around the affected area. “Tension-free” repair symbolizes the hernia surgery. This method is safe to perform hernia laparoscopic surgery and prevents recurrence.